Get Big Power When & Where You Need it! Are you renting several items and need more power? 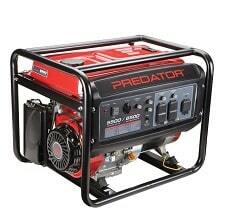 Our 5500-watt generator can run up to 2 inflatables and 1 additional device. Includes fuel to last your entire event (8 hr maximum).